Ok, thank you for contributing both to this post and the last. I've revised and sent off the final draft. I'll update with the published copy as soo as it is available. Moral Panic II: Writing a Response - Join In! I just talked to the editor of the Orangeville Citizen with regard to the article posted here. He asked me to write a 200 word response to the article. I'll draft it in the next day or so. If you have suggestions please post them here. 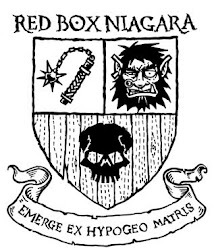 I'm particularly fascinated with the moral panic surrounding D&D in the early to mid 1980s. I've watched the 60 Miniutes clips posted on youtube before, but recently someone posted clips from the CBC (Canadian Broadcasting Corporation) from 1985. I still find it shocking that such a discourse arose out of the game. I also find it ironic that when the odd death occurs "due" to WOW - like one in Barrrie, ON in the last couple years - people don't even notice. 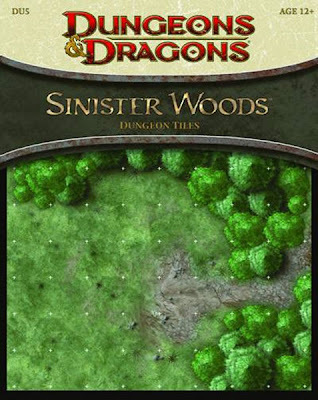 I just read a nice review of the new Sinister Woods Dungeon Tile set over at NewbieDM. I won't re-review the set here. However, I do think people should know that I bought 2 sets and in both cases the top layer was peeling away from the tile. I noticed this specifically on 4 tiles. Two of the largest size and two of the smaller size (2x2). NewbieDM noticed the same thing. I had to glue these back down or they would have been useless. The aesthetic of the tile set is great, and this is the first time I've had a problem like this. I ordered a few miniatures from MegaMinis and they arrived in the mail today. Overall, I am very impressed with these miniatures. The aesthetic is perfect for old school gaming. The quality and detail is excellent and the packaging was first-rate. John worked with me on shipping too (I'm in Ontario). Customer service and communication was awesome. I highly recommend MegaMinis, and do so without reservation. I was quite taken with the Bulette's random hireling generator for Labyrinth Lord. I've made a few revisions that I think build on an already excellent idea. I would have no problem using something like this for any D&D game that I play (LL, B/X, 1E, or whatever). Please let me know what you think. I'd like to continue tweaking. 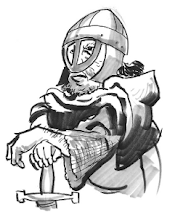 Hireling Miniatures: What Do You Use? In our group, we face a quandry. We really like to use minis, but we prefer older rulesets (1E and LL). 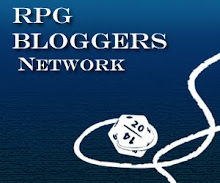 In many cases, DDMs don't provide an aesthetic that matches the look of traditional D&D. For us, the aesthetic of minis is just as important as the aesthetic of a module. Back in the day, I painted more than a few Citadel miniatures (which I still think are the best sculpts around). I know that painting minis can be quite rewarding. We just don't have the time. So we must sift through the DDMs for acceptable options - but we pick and choose. When it comes to miniatures for hirelings there aren't a ton of options. I'm sure, if you use DDMs that you already have these scoped out. I'm curious, if you use minis (metal or plastic), what do you use?